An El Nino of change has hit the Colombian economy … the peso’s value down 30%, energy costs almost doubled, dramatically low rainfall. TWM visit’s the Cajicá site – at 2,640 metres above sea level fittingly the top producer of consumer tissue – and discovers why innovation, quality and speed to market are working. Grupo Familia’s site is a whirlwind hour and a half’s drive starting at the centre of the bustling and car-logged streets of Bogotá. TWM passes road after road of local Colombians doing business, past busy shopping centres, churches, art museums and graffiti decorated streets. We drive higher and higher – at 2,640 metres above sea level, it is the third highest capital in South America, and “lowlanders” are advised to take a couple of days to adapt to the altitude – up over hills dotted with sky rise towers to emerge in the picturesque municipality and town of Cajicá. Above: Surrounded by rolling hills and countryside, the 60,000tpy produced at the site makes Productos Familia Colombia’s number one consumer tissue producer. The mill has been based there since September 2005 and while it is largely surrounded by rolling hills and countryside, its location also means it can easily access the massive consumer potential of nearby thriving Bogotá, which at last count in 2014 had an estimated population of between eight and 11 million. TWM is greeted enthusiastically by Javier Mauricio Quintero España, the plant manager for the Group Familia-owned mill. Speaking easily in English, España is engaging and friendly, and keen to talk about his operations at the impressive facility. He was previously plant manager at the company’s Rionegro site in Colombia, running the feminine protection business, and came to his present position two years ago as Productos Familia looks to a new era. The company’s guilty verdict in the recent Colombian anti-trust inquiry conducted by the competition authority regarding tissue product price fixing covered a period which ended in 2013. The site produces high-quality consumer tissue products such as toilet paper, kitchen towels. He adds the site has only the latest and most innovative technologies: PM6 was started up in 2005, PM7 in 2012, and the site also has three tissue converting lines. An automated warehouse currently in expansion is the first of its kind in South America. 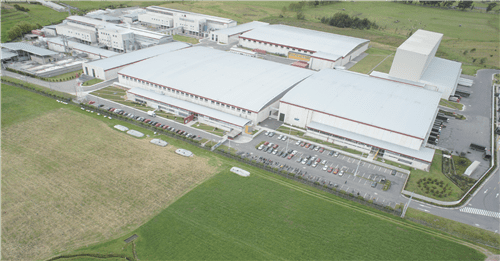 The site’s 60,000tpy means it is the number one producer for consumer tissue products in Colombia. Another tissue PM is also on the cards. The site is owned by Grupo Familia, which European tissue giant SCA has a 50% share in while the remaining 50% is owned by local investors. ​ Familia has a tissue plants across Colombian and Ecuador. “We have a big business unit here in Colombia as well as a very strong trademark and across the countries we export to Ecuador and Dominican Republic, Puerto Rico, Panama and Haiti,” Espana says. With point of-sale with leading brands across Colombia and beyond, distribution throughout the site’s home country is generally through local stores such as Mamas & Papas. This is especially relevant with the current state of the economy, the effect of which on the country’s tissue market España likens to an El Nino … the dramatic climate changing event which originates off the Pacific coast of South America. 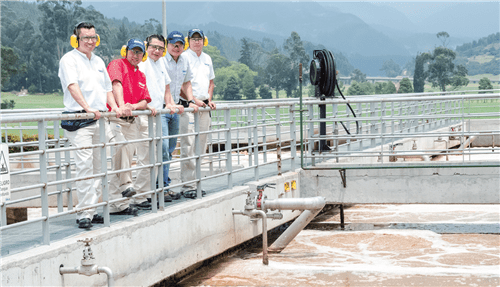 Above: Staff at the Cajicá-based tissue plant, which manufactures four pack rolls as well as kitchen towels in premium and 3ply. Share the post "Quality and speed supports business and product innovation at Productos Familia"